Today will be dedicated to exploring Syracuse, a wonderful city that was the largest in the ancient world during the Greek Classical Period - even bigger than Athens. With a licensed guide, you will visit the Neapolis Archaeological Park, with its famous Greek theater. Your walk will continue to Ortigia island, where you will enjoy a scenic boat tour. In the afternoon, a private transfer will bring you to Noto, a picturesque Baroque town where you can relax and enjoy the famous Sicilian “granita” (a semi-frozen dessert made from sugar, water, and various flavorings, similar to sorbet) before going back to Syracuse. Enjoy dinner and your overnight stay in Syracuse. In the morning you will take a private transfer to Modica and visit its enchanting historical center with breathtaking views over picturesque alleys and stairways. There you will be able to taste the precious chocolate of Modica, produced according to the ancient Aztec recipe. Before lunch, you will visit a typical cheese factory for a tasting. Light lunch will be served before your transfer to Ragusa Ibla. Dinner and overnight at hotel in Ragusa. 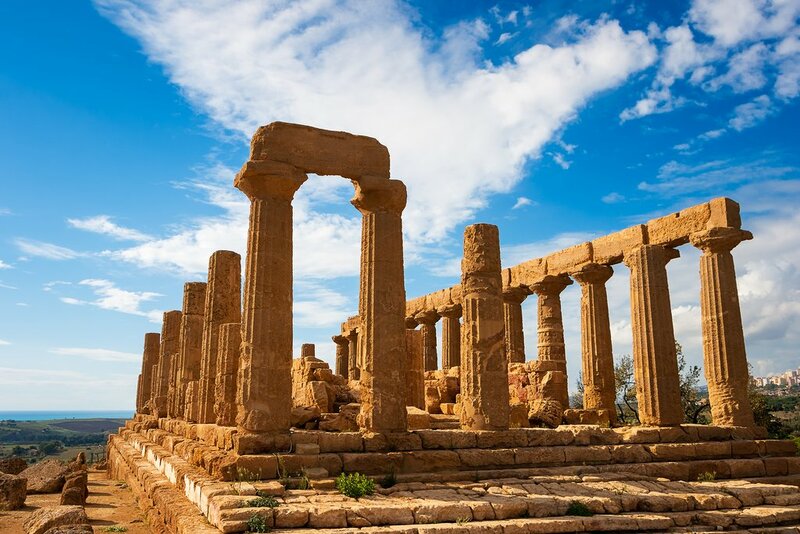 Your trip continues to the west coast reaching Agrigento, where you'll meet with a licensed guide and visit the archaeological site of the 'Valley of the Temples'. Explore the ruins of the largest Doric temple ever constructed - the Temple of Zeus. Your tour will proceed to Menfi, a Sicilian area famous for its wine and olive oil production. You will stop in a famous wine estate for a wine tasting and a special visit of the cellar. Continue to Marsala, where you will enjoy dinner and stay overnight. You can’t leave the west coast of Sicily without a panoramic drive along the ancient salt pans between Marsala and Trapani. Windmills, lagoons and piles of harvested salt, neatly covered with terracotta tiles, offer a truly unique landscape. You will enjoy a spectacular boat tour around the Stagnone and Mothya island before reaching Erice for lunch. Erice is a beautiful medieval town located 750 meters above sea level, with expansive views of the valley and sea below. In the afternoon, you will take a private transfer to Palermo. You will have free time for dinner and overnight at your hotel Palermo. In the morning you will meet with a licensed guide for a private tour of the Sicilian capital. Quattro Canti, Pretoria Square, the Cathedral and Marina Square are some of the architectural masterpieces you will discover during the visit. 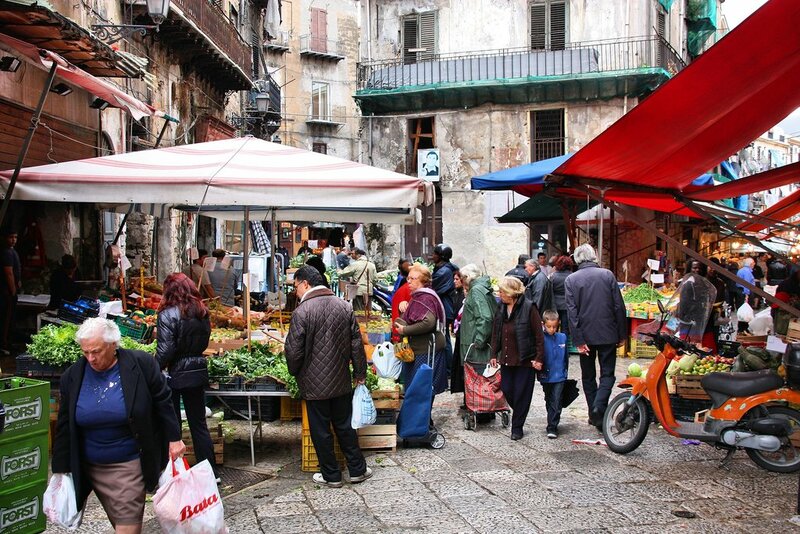 For lunch, stop in the heart of Palermo and taste some typical street food like panelle and cazzilli. 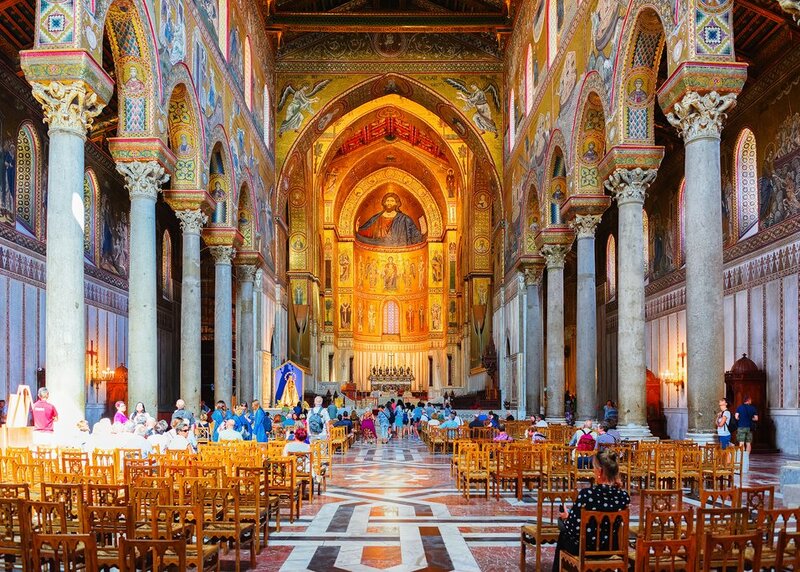 A private transfer will take you to Monreale where you'll have a guided visit of its extraordinary cathedral, considered the greatest example of Norman architecture in the world. Return to Palermo and stay overnight. Early in the morning take a private transfer to Taormina. 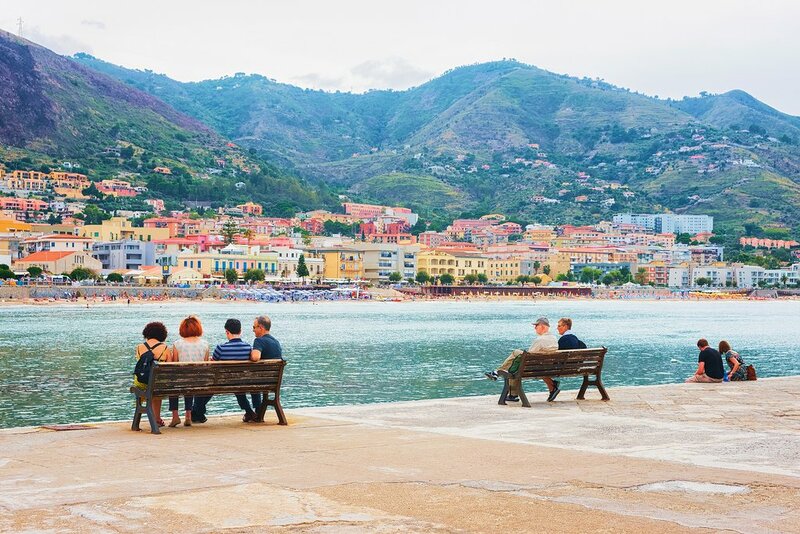 You'll drive along the northern coastline to the picturesque fishing village of Cefalu. You'll have time for a walk in the city center and you can stop for lunch to enjoy some local seafood. 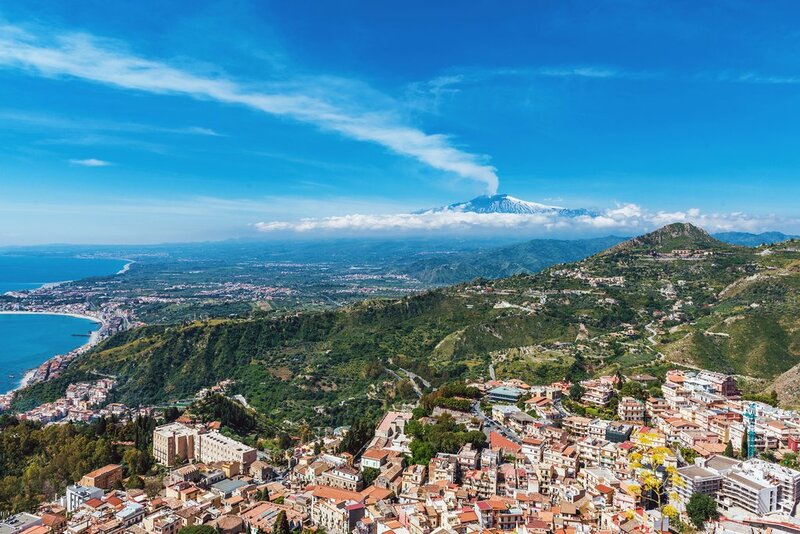 In the afternoon, you will reach Taormina, a tourist honeypot. After a walk around this chic and beautiful town, you will have free time for dinner. You will stay in Taormina. In the morning you will transfer to M. Etna, where you'll enjoy a spectacular walk on the southern area of this volcano. Hike past lava flows to be rewarded with a dramatic panoramic view of the four craters that make up the top of this famous volcano, plus wide views of the entire coast of Sicily. On the way back, you will stop in a typical and elegant winery to enjoy a local aperitif. Once in Taormina, you will have time to relax before having your final dinner of this trip. It was mostly perfect. The drivers were all wonderful. They were punctual, friendly, obliging and cars were immaculate . The guides were even better, especially Valentina in Palermo who we adored.The others were fabulous too.Accommodation was mostly good,but we found the agiturismo in Agrigento tooooo remote,and my brief did say we were city slickers . Also it was feragosto eve and they had a party. However,I have been recommending you to everyone. Also nearly perfect but better than good. As I mentioned,The accommodation in Tenuta San Giovanni was really not us, we would have preferred something in the city of Agrigento. This place was 7 kilometres from the nearest village and 50 minutes from Agrigento.I have stayed at farmhouses before but they were walking distance to piazza's. Not this one. Also, the voucher for the Etna excursion said meet at 9.30 at the hut. When we arrived at 9.23,they told us the 9.30 group had gone and we would have to wait for the 10.30 group. This would've got us back to our transport to Messina too late, and also we had arrangements in Messina to get to on time.So we paid for the shorter version out of pocket. The man in charge of hut Etna excursion said we should get a refund for the one we missed,so I am also enquiring about that .